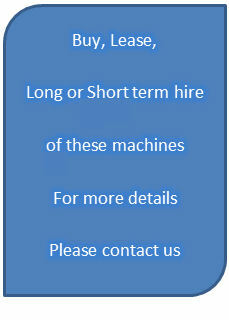 Designed to high quality standards, these units are amazingly compact and superbly manoeuvrable. They are easy-to-use, battery-driven, and meet the critical demand of providing productive and efficient cleaning at an economic price. 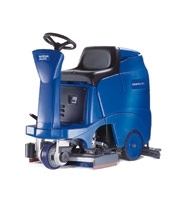 The SCRUBTEC R3 series of ride-on scrubber dryers bridges the gap between walk-behind machines and larger ride-on's. With the feel of hands on operation, yet having all the speed and convenience of a ride-on, these units offer the a practical means of handling lighter-duty cleaning applications. Typical applications are supermarkets, hospitals, office buildings, health care facilities, sport centres and educational buildings.